Silke Weinfurtner (1/2016‎ to 12/2019). The International Society for Relativistic Quantum Information was created during the closing session of RQI-N Taiwan 2010. 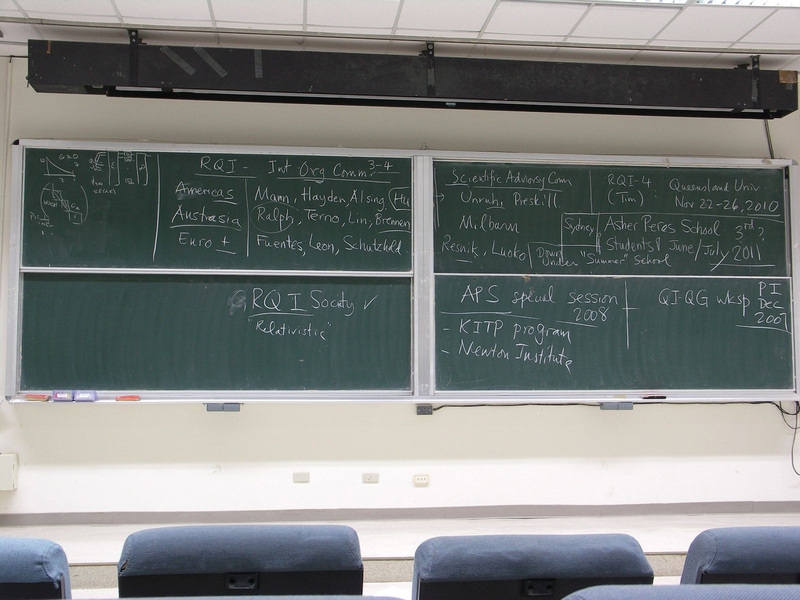 This is the chalkboard form the first meeting of ISRQI, lead by Bei-Lok Hu, during the closing session of RQI-N Taiwan.